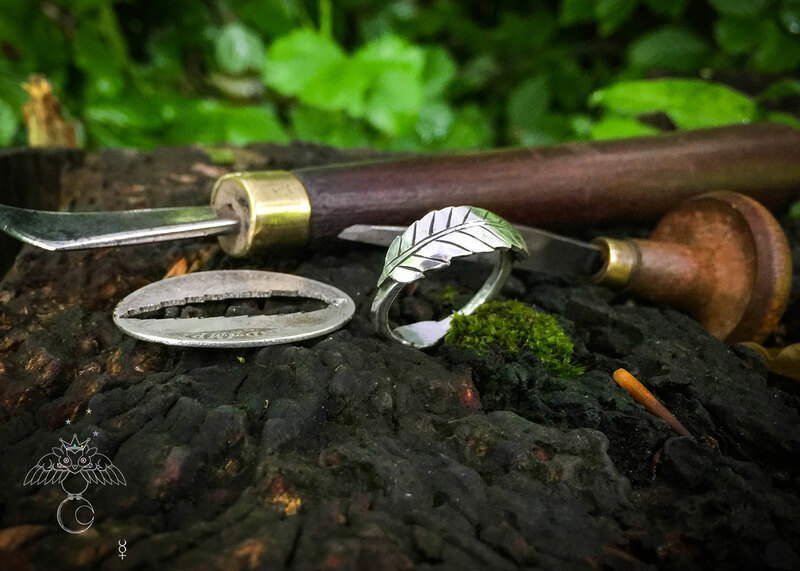 Rowan leaf ring – handcrafted and recycled silver shilling coin. 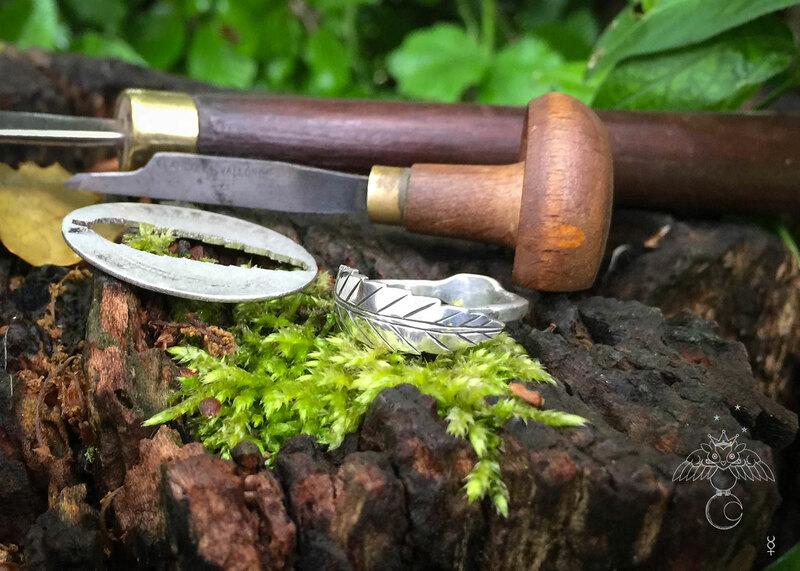 A lovely simple and stylish Rowan leaf ring which is not only handcrafted, unusual, completely unique but have also been transformed from an 100 year old silver shilling coin. 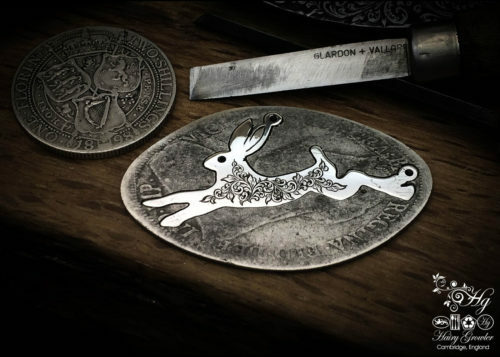 The Rowan leaf design is freehand drawn onto the slightly flattened silver shilling. 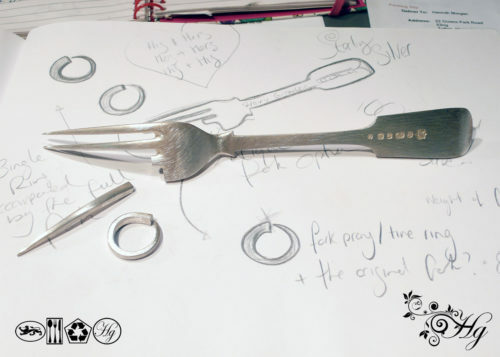 I then meticulously follow this guide sketch with a traditional hand engraver. 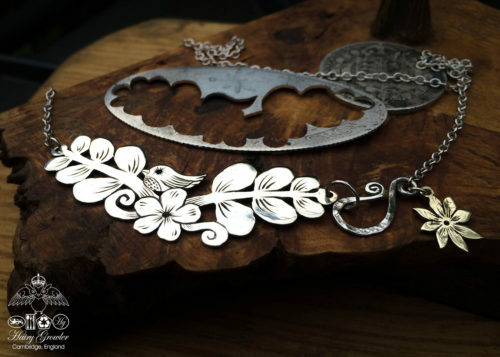 The design is then ‘pierced’ out with a traditional jewellers hand saw. 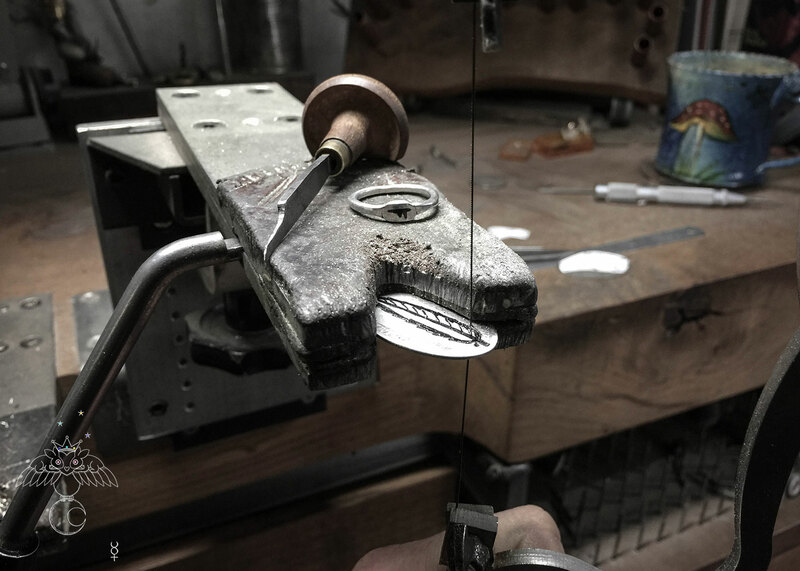 It is these tools which allow me a close connection with each piece and to ensure your ring will be completely original and special to wear. 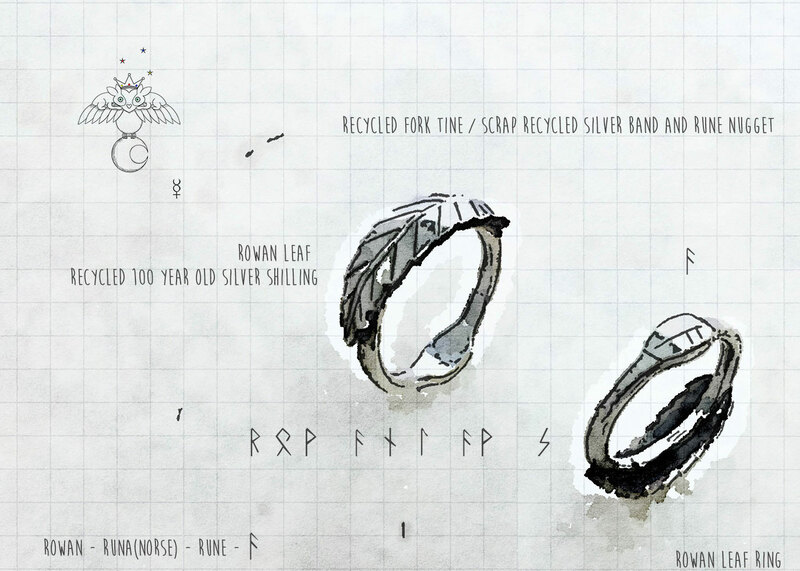 The back of the ring is the Ogham rune for Rowan. If preferred you are welcome to request an initial in place of the rune. 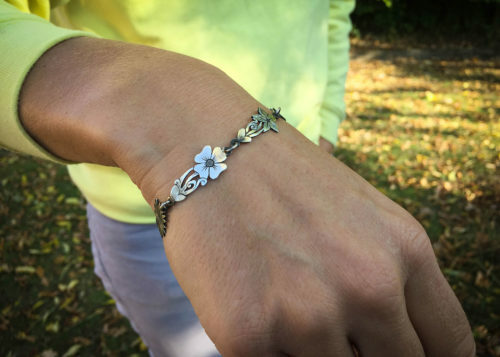 The design is finished with a lovely hammer textured and faceted silver band also made from 100% recycled silver. 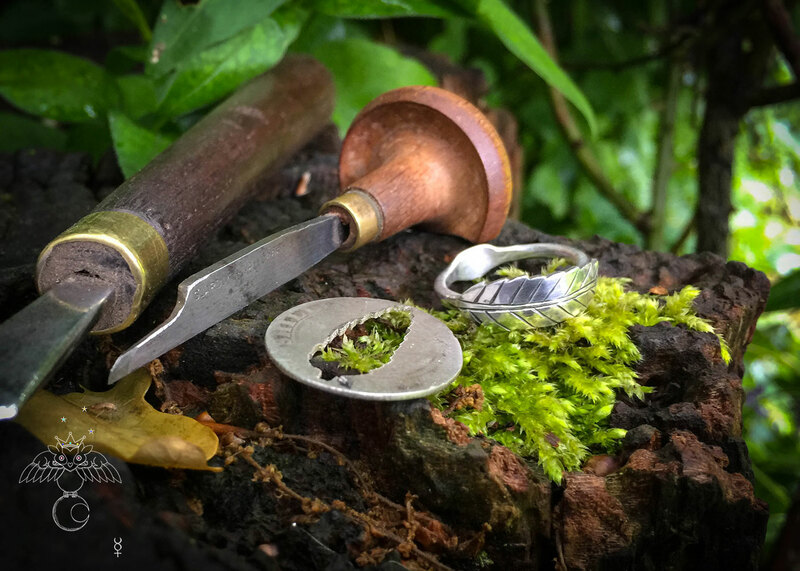 The ring is presented with the ‘donor’ silver shilling from which the leaf was hand cut. 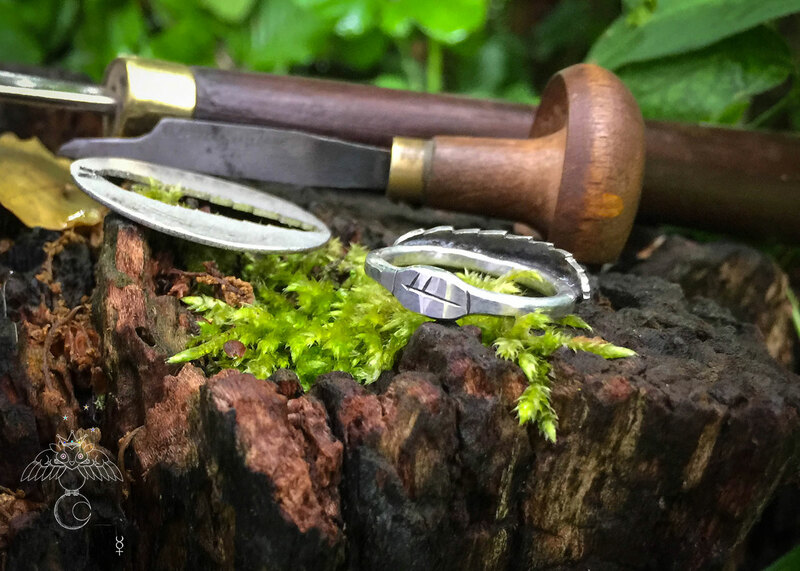 This is a lovely piece of silver which connects your ring to its previous wondrous history. 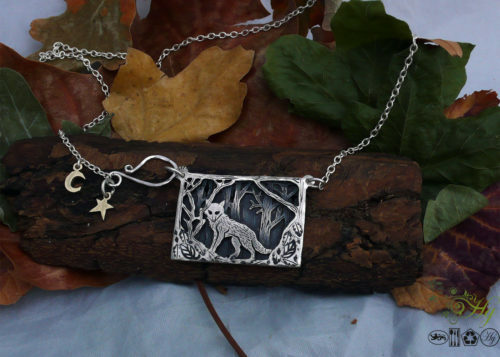 Size : The Rowan leaf is approx 8 mm wide and 27 mm long.